Like the Reose prototype, Kass was developed with local architectural tradition in mind; the design for this prototype incorporates a front porch, delicate side garden, covered side porch, and central courtyard. Conceived to serve a growing family with a phased approach, Kass is designed as a composition of offset volumes connected by a screened porch. In the first volume, a covered front porch gives way to a two bedroom, one bathroom residence. 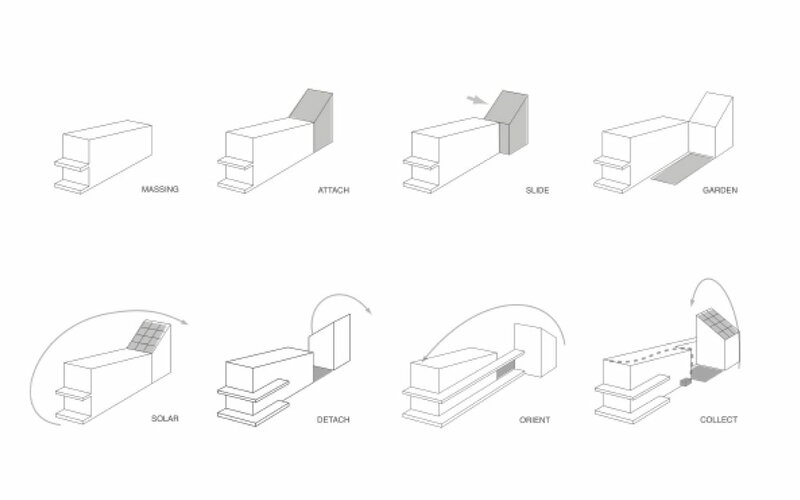 In the second phase, an additional volume can be built as it becomes necessary and/or feasible; this detached but linked volume can be oriented in a number of configurations as each lot allows and could function as a guest suite, master suite, home office, or studio space per the residents’ needs.